Dive Commercial is proud to display our Current Authorized Kirby Morgan Dive Systems Inc. Dealer, Certificate. If the person/company you’re buying your KMDSI products from cannot show you their Current Authorized KMDSI Dealer Certificate, you could be buying counterfeit (unsafe) parts. DCI is the only Kirby Morgan Dive Systems Inc. (KMDSI) Authorized Dealer with a Manufacturer Authorized Training Facility in the Western United States. TRAINING: The Kirby Morgan Dive Systems Technicians Course is offered here! Dive Commercial International now offers individual consumers and companies financing through a major financial institution for orders over $500.00. Need a new compressor but keep putting if off? Want a new helmet but don't want to charge it to a credit card? Need parts to upgrade or repair your equipment? Applying for financing is easy. Dive Commercial International sends out an electronic Newsletters to commercial divers and commercial diving related companies. 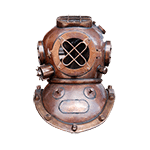 These Newsletters announce new products, tech tips, sale items, KMDSI product bulletins, industry news and other commercial diving related subjects.